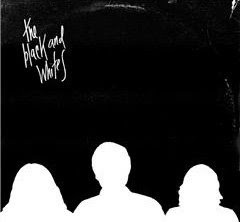 DMR is pleased to offer the debut LP/CD by Oxford, Mississippi's The Black and Whites. Since the recordings that produced the first three Black and Whites singles, leader Talbot Adams replaced a rotating cast of players with Preacher's Kids member Johnny Valiant on guitar and vocals and Pat McKeage of the Dutchmasters on drums. Talbot and Johnny split the songwriting duties on this record as well, and the result for the most part is a faster, wilder, Ramone-esque Black and Whites. You'll probably want a beer and a smoke before the end of the first song. It's very apparent these guys had a lot of fun writing this record. If I had to speculate I'd guess they wrote most of this record in a smoky, urine scented dive in rural Mississippi. Get your party started with the Black and Whites. The Black and Whites – You're the Only Girl 7"
Gentleman Jesse – I Don't Wanna Know 7"
The Pets – Let's Go 7"
Boys Club – Girls of Today 7"
Hex Dispensers – Lose My Cool 7"
Cheap Time – Handy Man 7"